Back in 2008, cricket enthusiasts all around the globe got to witness a startling T20 league which went by the name of the Indian Premier League. The IPL enjoyed a great debut season as thousands turned up to support their favourite franchises and billions tuned it to watch the scintillating action in the IPL. Ardent cricket followers remember the first season very well as the tournament was graced by some of the greats of the game. With all that being said, the first season was in itself a spectacle! 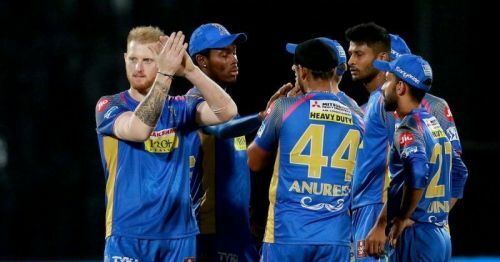 Rajasthan Royals can proudly claim to be the very first champions in the history of IPL as they defeated Chennai Super Kings in the final to be crowned as the inaugural champions of this glorious cricket league. Since then the franchise has failed to replicate their heroics from 2008, with that triumph remaining their only trophy in what is a pretty empty vault. Royals will look to end their trophy drought in 2019 courtesy of their dynamic squad. Here we list down four men who can help the Royals win the IPL trophy in 2019. The returning Steve Smith will add some much-needed stability to this vibrant unit. Smith will be expected to lead Rajasthan Royals in 2019 and the Australian does hold the right tools to take his side to the top and end their 11-year long wait for their second IPL title. Smith is often reckoned amongst the best batsmen in the world and Rajasthan Royals' massive fanbase will be wishing to see the Australian return on a high and give the Royals a much-needed start off the blocks. 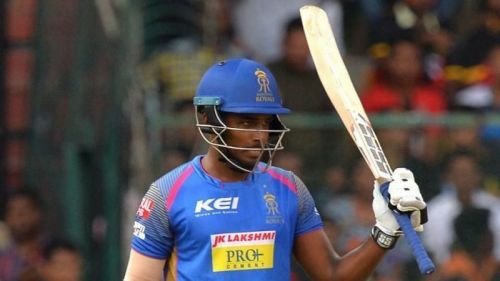 Sanju Samson is a vibrant batsman from Kerala, who has garnered a lot of appreciation over the years for his beautiful display of batting and with the ability to face some of the fiercest bowling attacks with ease. Sanju has it all in his kitty to terrorise any bowling attack in the IPL and the Rajasthan side will bank on Sanju for some valuable runs at the top. Royals will expect Samson to go all guns blazing as the top order batsman is one of the most technically sound batsmen in this RR setup. Sanju's range of shots is mightyly impressive as the dextrous batsman has impressed the cricket enthusiasts with his exquisite timing of the cricket ball.